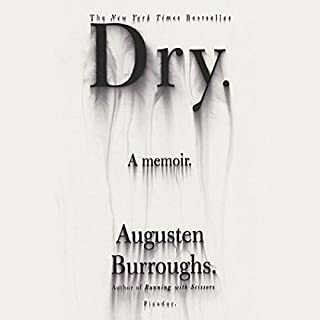 [4.5 stars] Augusten Burroughs may be my favorite memoirist. His sense of humor is ribald, irreverent, self-deprecating, and decidedly flamboyant. It is also, I imagine, an acquired taste. Here Burroughs is chronicling his alcoholism, a work-staged intervention, his month-long stay at rehab, and his subsequent efforts at sobriety. Burroughs plunges us into a normal week night for him, which includes meeting up with a friend at a bar and imbibing drinks steadily. He is, characteristically, hilarious doing so. He has a knack for an unexpected turn of phrase and throws in metaphors, similes, and descriptions that seem crafted to trigger laughter and rarely (at least for me) miss their mark. Burroughs is highly self-aware, and this mix of over the top humor and a clear eye toward his own shortcomings makes for a fast and engrossing read. Even if his then alcoholic self couldn’t see it coming, the readers knows that things can’t go on this way. The subsequent intervention and ultimatum (go to rehab or lose your job) is not surprising, but is both excruciatingly embarrassing and, well, funny. As always, Burroughs is unabashed about his sexuality and his stay at a gay rehab center in the Midwest manages to be both heartfelt and, at times, uproarious. Though never maudlin or depressing, Burroughs still reveals the ways lives are derailed by addiction, how relationships buckle and break, jobs evaporate, and priorities align in ways both destructive and predictable. The depiction of group therapy and friendships have innate humor, but also real humanity. Though he entered therapy thinking he didn’t need it, Burroughs has more than one epiphany about his addiction and his life while he is there. After Burroughs returns to New York and he begins the day-to-day work of remaining sober, we are treated not only to his ability to find the ridiculous in everyday life but his continuing journey of figuring out how to fill time previously taken up with drinking, what he can feels ready and willing to give to friends, and how he actually feels about those in his life. In the end sobriety and a relapse, disaster and success, are given the same treatment – that is, devastatingly funny and revealingly honest. Near perfection - dare I say better than ACD? [4.5 stars] Having read this absolutely wonderful novel, I understand why this is the first time the Arthur Conan Doyle Estate authorized a new Sherlock Holmes novel. 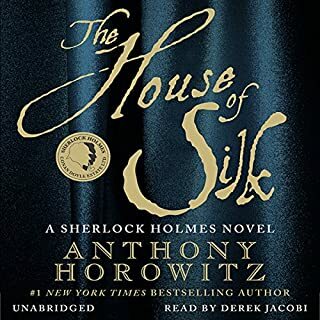 Horowitz is masterful, giving period appropriate details, weaving a plot and conspiracy as complex as it is deplorable, and hitting all the right notes to make this feel authentically Holmes-ian without merely aping Conan Doyle. The novel opens as Dr. Watson, an old man now, reveals that he is about to put in writing a tale that he has been sworn to secrecy about. A mystery whose unraveling so shook the halls of power he could not risk telling it until now, when many of the main actors have passed away and he himself nears the end of his life. The story is one of two intertwined mysteries, one on a smaller scale of personal revenge and one larger with machinations at the highest levels acting concertedly to cover it up. We quickly are reacquainted with characters and set pieces known from the original canon – from 221B Baker Street and Ms. Hudson, to Lestrade and the Irregulars, to Holmes’s meditative moods and Mycroft’s rotund presence at the Diogenes Club. The mystery itself is layered and slowly revealed. Astute readers may have a guess at what could be happening behind closed doors at the eponymous House of Silk. But what made me truly love this book was how Horowitz respected the groundwork laid in the original Holmes stories but was not bound by the conventions of the time. Where some older novels, Conan Doyle’s included, can feel stilted in language and emotionally staid, Horowitz gives the characters and their reactions a verisimilitude and resulting warmth and approachability, ire and coldness, disdain and fear, that is sometimes missing in in the original novels. This is one of my favorite iterations of Sherlock Holmes. The balance of old school mystery with human touches makes it a pleasure to read, though disturbing and infuriating at the conclusion. The ending especially is all too plausible. Where power often evades a full reckoning for what was done, and the downtrodden are only partially saved and only for a short period of time. Still, despite the grounding in real life, this still was a pleasurable read. Highly recommended. Professor Bedore clearly loves her area of study and her enthusiasm is obvious. This is very much an undergraduate course, with some depth and thought-provoking sections, but a certain amount of forced approachability. Bedore often feels too scripted, too much like she is trying to be excessively likable and funny. In a few instances, her summaries of the plots of certain books were partially incorrect (I Am Legend, The Day of the Triffids), and most glaringly in her final lecture she makes general statements about the TV series Black Mirror, which is made up of stand alone episodes, but bases her analysis on the assumption that all episodes or one reality. I did not feel like my time was wasted, but was frustrated that she was not more rigorous in her preparation and analysis. 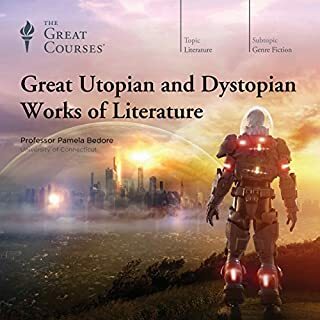 [4.5 stars] This science fiction novel and the themes it explores is heady and disturbing stuff. We find ourselves about 125 years into a future where corporations are the major political organizers of various zones on the earth. This future boasts extended (potentially indefinitely) lives, youth retained, drugs designed at a molecular level, and artificial intelligence (both fully robotic and with some human parts). Despite what could be a host of improvements, it is also a future obviously encroached upon by climate change (and the attendant sea level rise, changes in cycles of drought and rain, and the like), and with the old inequalities of race and class transformed into new equalities of autonomy and, well, class (some things never change). Through our main characters, we are introduced to the various permutations life takes in this future. We have Judith “Jack” Chen, currently a pirate and trafficker of reverse engineered drugs, who in her younger days was an idealistic science student and radical (opposed to big pharma’s stranglehold on patents that meant only the rich could afford cures, extended lives, and prolonged youth). She meets Threezed, an indentured human (enslaved to a master for the remainder of his contract) who was born into an indenture school and had his contract sold when the school went bankrupt. Then there are the soldiers working for the International Property Coalition (IPC), one a human (Eliasz) with his own fraught history with bots and the indentured humans, and one non-autonomous bot (Paladin) who wonders about the human brain at his core and what it means to want something. Finally, we have Med (short for Medea), a fully autonomous robot who has been autonomous her entire life and works as a medical researcher. The plot itself is a race against time. Jack realizes a drug she reverse engineered leads to addiction and death in some users, and knows that the corporate owner of the drug must be ignoring dangerous signs. Harkening back to her radical days and a wish to do the greater good, Jack begins a race to elude the IPC while finding a way to counteract the drug and bring the company down. 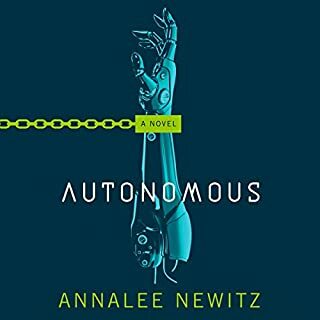 This plot acts a typical thriller, but let’s Newitz explore choice and autonomy, mental programming of humans and programming of robots, the right to medical care, the dangers of owning sentient beings, outsider status versus belonging, and the ethics of the biomedical field for what it means to be human. The book is not simplistic or pleasant. The violence is immediate and offhand, something not too surprising when you consider this is a world where indenture and slavery of a sort are endemic and accepted. And there are no pat solutions or truly happy endings. Newitz has built a believable, complex, and flawed future, and it is to her credit that she does not attempt to “solve” that world’s myriad problems. Recommended for SF readers who like their futures on the dystopic side, their action harsh and unforgiving, and their minds awash with questions that have no easy answers. This excellent history is not for the squeamish. It is no overstatement to say that antiseptic methods utterly revolutionized the practice of medicine in general, and surgery in particular. Fitzharris tells the story of the antiseptic watershed through a sweeping history of medicine and some very nice biographical work on key figures of the time and on Lister, who documented and championed the cause. Lister was born to a Quaker family and was meant for the clergy, but his innate curiosity led him instead to medicine. His scientific mind, always questioning and testing, confirming and discarding methods based on results, and his stalwart determination to ease suffering, led him on a decades long journey that found him refine antiseptic surgery and then fight the entrenched medical mindset that found it hard to believe that such a change truly could save lives. Those with a general love of history or the desire to know more about the practice of medicine, would do well to pick up this book. 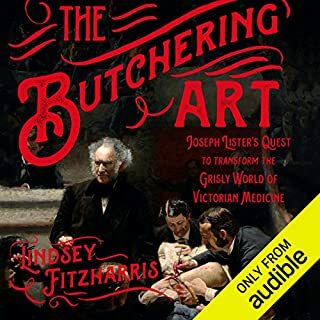 Lister and his stalwart dedication to making surgery safer, and lessening human suffering, helped to transform the eponymous butchering art from a practice based largely on the speed of the surgeon (and given to mishaps as a result of such speed) to a more considered and precise skill. Pain and illness have been reduced and countless lives saved in large part due to Lister, and that story is well worth being told and read. Ohler takes what feels like a too brief (or at least not broad enough) look at drugs in Germany during the interwar and World War II period. The general public (at least those who are history buffs) have known for decades that amphetamines (e.g., the drug colloquially known as speed). But historians have known for decades that it wasn’t just amphetamines, but also methamphetamines. Both drugs were copiously consumed during World War II. In this book, Ohler covers the history of these drugs, how they came to be mass produced and mass ingested, and how this fueled and then derailed the Nazi war effort. The book is most interesting, and most deserving of its title, in the chapters offering the foundation of the drug industry in Germany. 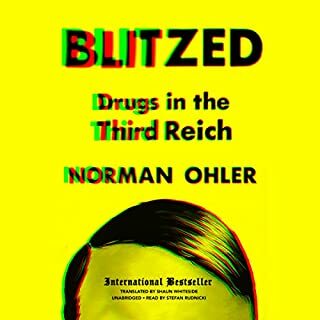 Ohler also explains how use of such drugs made the Blitzkrieg possible – allowing soldiers to go on with minimal rest, manically energized and moving forward at blinding speed in that lightning war. Sections of the book examining use of drugs by the military and civilians are quite interesting and eye-opening. But such sections end and the bulk of the book ends up being about Hitler’s private doctor and the regimen of injections (including addictive drugs) that Hitler was on for the duration of the war. This is worthy subject matter to cover, but overwhelms the rest of the book. What started out as a broader look at wartime Germany becomes a study of Hitler and his doctor, both of their motivations and psyches, and a description of Hitler’s degrading health and increasing dependence on drugs. This does not make the book a failure, but does end up narrowing the focus in a way that might be unexpected given the book’s title. Personally, I would have preferred a book with a broader lens on the entire German state and not such a tight and extended focus on Hitler. What if the only thing standing between the Devil (aka, the Great Malevolence) and the destruction of the world was eleven year old Samuel Johnson and his trusty dachshund, Boswell? John Connolly (yes, THAT John Connolly) answers the question aptly. Borrowing from the best traditions of Roald Dahl (of plucky youths going up against greater forces), Monty Python (finding humor both high and low through satire and sight gags), and Douglas Adams (with the absurd meeting the everyday, and the most well-timed asides), Connolly’s prepubescent hero and faithful hound are equal to the task of saving the world and foiling a most dastardly plan. So when the gates of hell threaten to open, we are taken on a fast-paced romp as Samuel tries to muster some help to avoid an apocalypse. The book feels very British, and the cast of characters is entertaining, with likable demons and repugnant housewives. The Large Hadron Collider plays a particular (see what I did there?) role, we all learn to tread lightly on rose bushes, the efficacy of email communication is born out, and getting an early start on Halloween (not to mention enthusiastic costumes on the day itself) ends up being quite fortuitous for the planet. Recommended for those who like schoolboy heroes, small dogs, punny wordplay, and the occasional smiting. In New York City, magic controls everything. But the power of magic is fading. No one knows what is happening except for Sydney - a new, rare magician with incredible power that has been unmatched in decades, and she may be the only person who is able to stop the darkness that is weakening the magic. But Sydney doesn't want to help the system; she wants to destroy it. Sydney comes from the House of Shadows, which controls the magic with the help of sacrifices from magicians. Imagine a world where magic is everywhere but most people don't see it. Feels fairly typical, doesn't it. Like any of a host of fictional landscapes where the fantastic and the mundane are side-by-side, but only those with special powers are fully aware. Such stories are usually often largely bright and cheery, and often driven forward by non-adult characters. And should the tale stray into darkness the conflict is often resolved by the triumph of good (think Harry Potter and its predecessors). The darkness, is there and important, but not typically overwhelming. You get some excellently crafted stories that skew a bit older and a bit more serious, like Lev Grossman's "The Magicians" (which I am embarrassed to admit I have yet to finish), with magic as a costly thing, requiring serious study and perseverance, and plots that cannot neatly resolve into good versus evil. 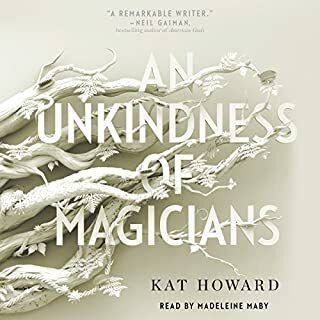 Kat Howard's "An Unkindness of Magicians" takes place in a world where the fantastic and mundane are side-by-side, but also intertwined at certain points. Those who are not part of the magical world are largely unawares. And those within the world are movers and shakers in both realms, where house affiliation and individual power are just another way to measure influence and strength. And the magic in this world can be both wonderful and terrible, and there is always a price to pay. The main character of the story is Sydney, who shows up on the scene in New York just as the magical world is about to undergo a Turning. Turning typically take place about every generation and during the Turning the power structure and hierarchy are in flux. Houses choose champions, challengers make their moves, and new houses can be born. Through this magical and political intrigue, we are introduced to the world and slowly uncover the workings of magic. And what makes the magic in this book stand out is that it is suffused with suffering and cruelty, and the costs for using the magic are not equally meted out. There are times the dialog feels stilted, and I think the book could have used more length to explore certain characters and the world's workings more fully. It does not feel set up for other entries, so I'm sorry to see that my questions won't be answered and a fuller history of the world (not to mention its future) is forthcoming. 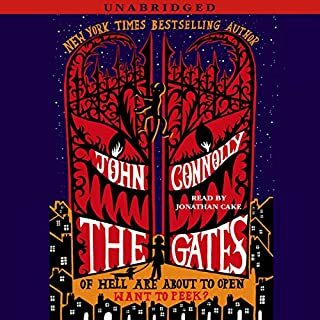 But an interesting book where the magic takes place in an urban setting, the players are adults, and the consequences both bloody and sobering. A bit of a twist on the typical murder mystery, employing an atypical nascent detective. Mayne has created a main character who blends social naivete and occasional ineptitude with a brilliantly analytical mind. Professor Theo Cray is a computational biologist, and uses mathematics and computers to uncover biological nuances in species, environments, and the like. After a former student of his is killed while doing research in Montana (at the same time that Theo happens to be in Montana), he is drawn into the mystery of her brutal demise. Theo starts out as the police's main suspect and his awkward manner, strange detachment, and lack of social graces make him seem all the more likely. In his interrogation he reacts in non-stereotypical ways that hint at his coming need to figure out what happened. Though he begins as prime suspect, he is quickly released in favor of a new suspect -- a bear. But Theo isn't convinced. His genius intellect and knack for seeing patterns has been sparked and what follows is his nontraditional investigation to find out what happened. For nerdy readers, it is good fun to see the ways Theo uses disparate data and an inquisitive mind to question what the authorities have taken as true. 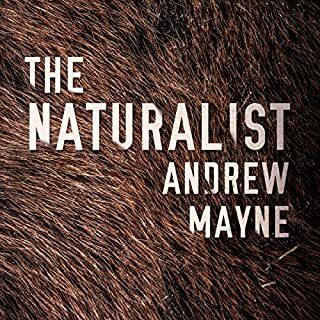 While Mayne has perhaps belabored the willing ignorance of the authorities a touch too much, and lent a bit too heavily on Theo's brilliance (not to mention luck), the book is still an entertaining ride. Part scientific vigilante on CSI steroids. The book is set up for a sequel (already published) and a third book in the trilogy is due out early 2019. A good read for the forensically nerdy sort, or those that like their killers clever and bestial, and their (eventual climactic) action bloody and final. 3.5 stars. 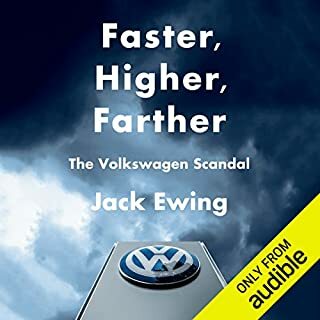 This is a solid book of reporting on the VW scandal (thus far). In explaining the contours of VW's efforts to thwart United States emissions tests, Ewing first places VW in history. The book, after a brief introductory chapter, flashes back to the founding families of VW and Porshe (the Piëch and Porshe families), covering their interests in engineering, their place in Germany and Austria during WWI, the interwar period, and WWII, and the personalities at play. Ewing also gives highlights of each car company's products, explanation of some of the engineering behind advances, and a broad portrait of how the larger companies were run. With this as foundation, we eventually find ourselves moving forward into the present day. We are given background of how the car business was changing, the competition for new markets, and the impact of oil prices and environmental concerns on both. That background, along with the knowledge of how VW was run (and the personality, in particular, of Ferdinand Piëch), sets the stage for the scandal that hit the newspapers a few years back and is still playing out in court (both the legal courts and the court of public opinion). In the end, this is half history and half story of corporate hubris and recklessness. The book is interesting, but not necessarily gripping. Ewing is very workmanlike, and is clear and easy to understand, but not engaging enough to make this a book you can't put down. A few other reviews have noted that the story is incomplete as we are still in the pendency of legal ramifications (including class actions around the world) and long term PR effects. I agree, and the story just seems to abruptly end. I will at least be able to keep up to date on developments in the case with a lot more understanding than I used to have, but I can't help but think this book could have waited until the story had fully unfurled.